A brief introduction of Tri-State Data Recovery & Forensics, LLC and its lead engineer, Don J Anderson. Don Anderson opened up Tri-State Data Recovery & Forensics LLC in the state of New Jersey back in 2010 after working nearly 15 years in the IT field. The first IT position that Don had, after achieving the A+ certification, was at the Best Buy tech bench (before they were called “geek squad”, of course). After many years of working as a computer technician, Don had achieved a Degree in Network Management back in 2006. Shortly after he landed a job with IBM as a IT specialist in NJ. He continued to work many contract positions throughout the years learning new skills from each experience. Finally, deciding to take control of his own destiny, he invested everything into learning data recovery from the best data recovery engineers around the world, paid courses which earned him a “Data Recovery Expert” certification, endless hours of practice, and many, many tools that come from every corner of the world like the PC3000 from Russia, or the DDI from Canada, other important tools from China, Ukraine, and Serbia that are designed specifically for this fascinating and ever challenging niche we call Data Recovery. After a few years of success, he took it further by specializing in the most advanced type of data recovery which consists of multiple drives found in servers which need to be repaired and virtually rebuilt known as RAID data recovery. With success in business and fair and honest practice Don was receiving drives from all over the world. After much research, Don decided to focus more on Philadelphia because of the demand companies and individuals alike had for data recovery in Philadelphia and moved Tri-State Data Recovery to Havertown, P.A. which is located only minutes from Philadelphia while still satisfying his NJ clients. 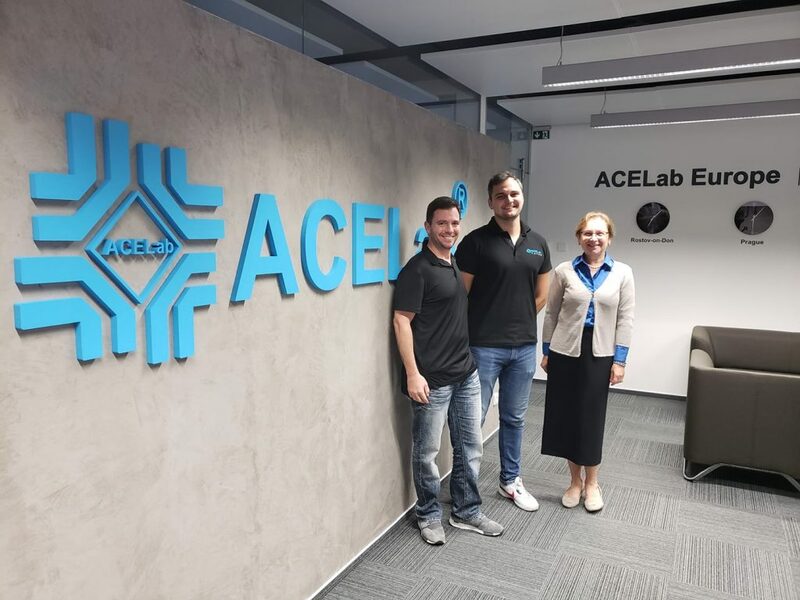 In 2015 Don Anderson traveled to Prague for an advanced training in Data Recovery from AceLab, the creators of the PC-3000. The most sophisticated tool in the world for data recovery. Every year Tri-State Data Recovery takes part in more seminars and courses from around the world to stay updated on new technology and advancements in data recovery. 2016 Ottawa, Canada. Don had attended an advanced training course with Andrei Shirobokov, and Yarek Shkvorets from Deepspar to further his arsenal of knowledge. Continuing his research and development in modern hard drive technology including Solid State Hybrid Drives, Flash Drives, Solid State Drives, and Monolithic storage media, Don Anderson traveled to eight countries in 2018. Having meetings with the most successful data recovery engineers in the field and learning the most sophisticated procedures known for recovering data from such drives. Don had completed nearly a month of training with ACELab in October of 2018 on advanced data recovery using the PC-3000, PC-3000 Flash, and the infamous Spider-Board. Don Anderson occasionally does lectures at major universities on data recovery and digital forensics for Tri-State Data Recovery. Don J Anderson is proud to be an official member of the HTCIA (High Technology Crime Investigation Association), and has achieved the HIPAA Security Professional Certification allowing us to accept drives from the medical fields.